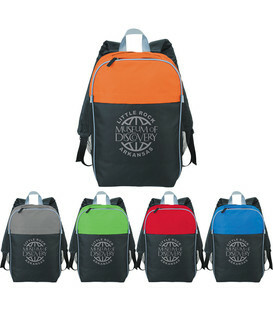 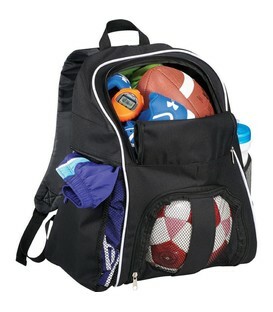 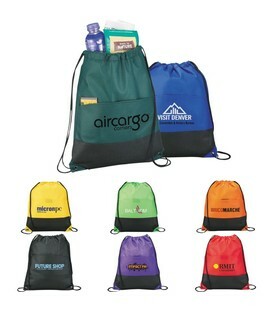 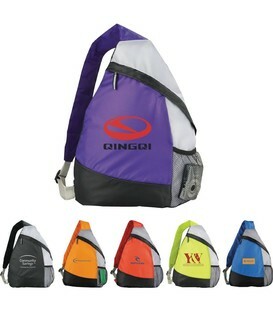 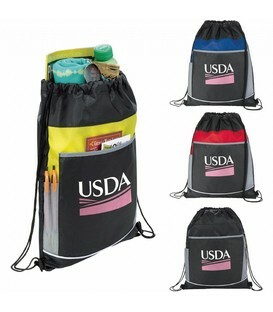 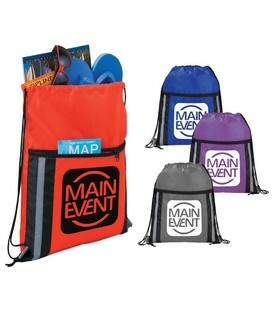 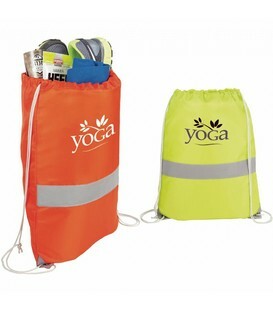 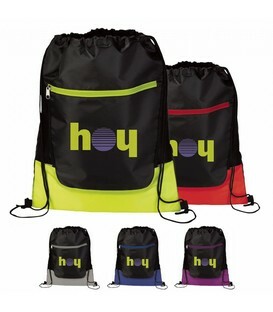 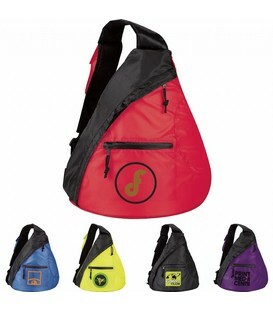 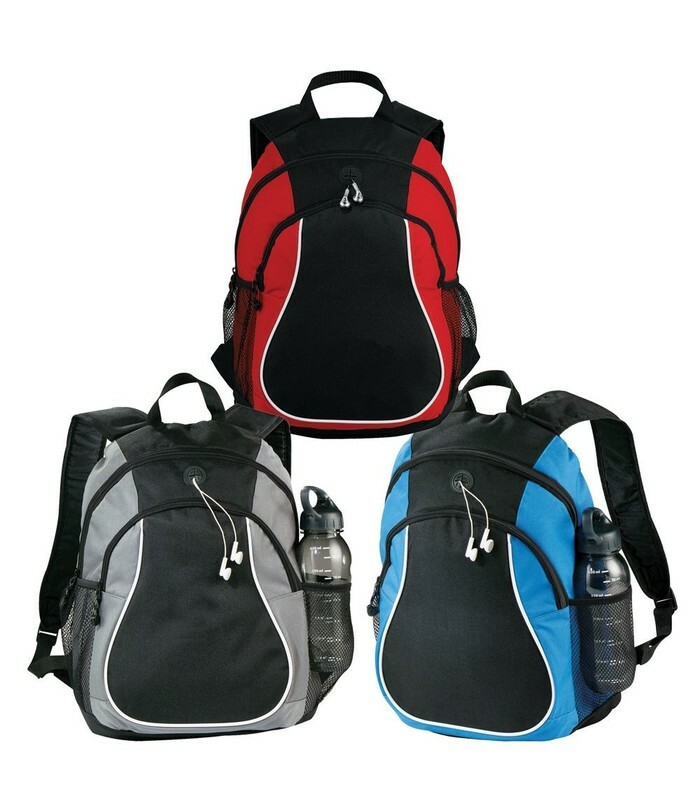 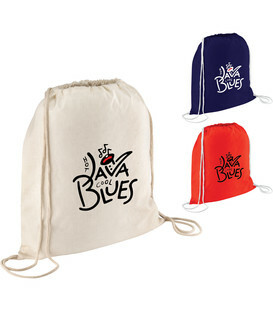 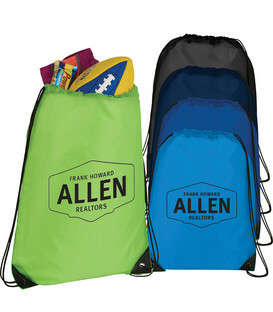 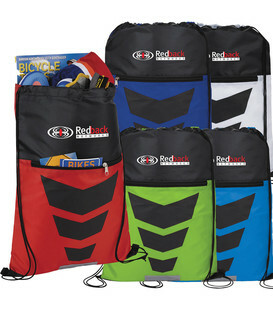 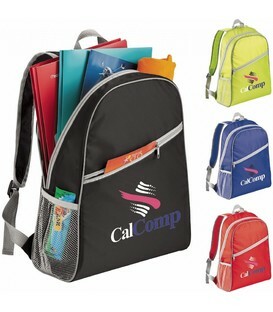 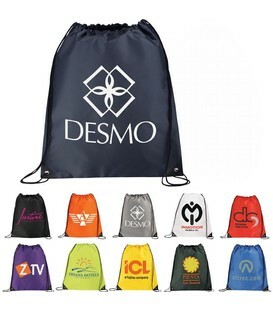 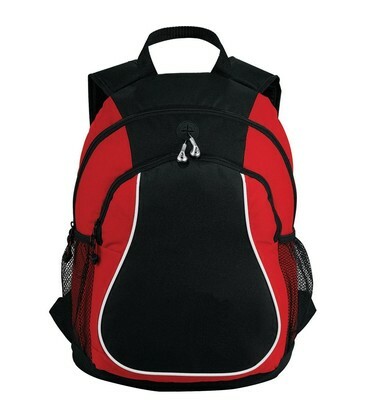 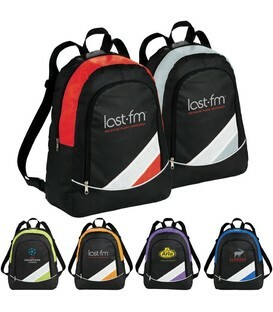 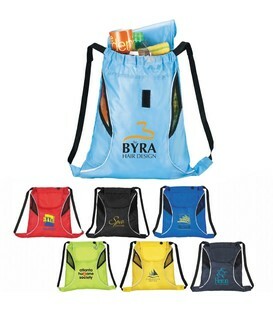 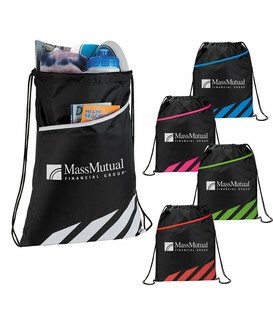 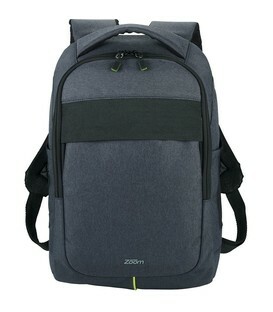 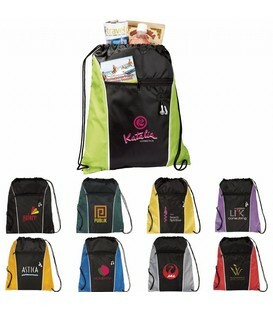 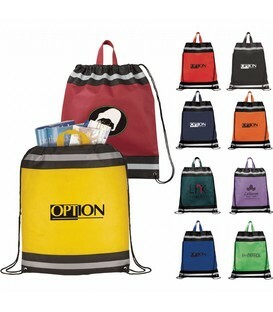 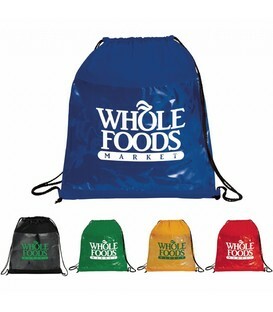 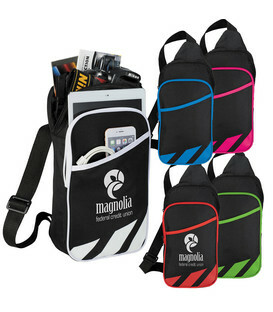 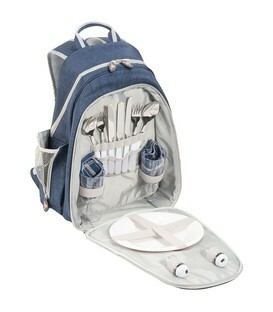 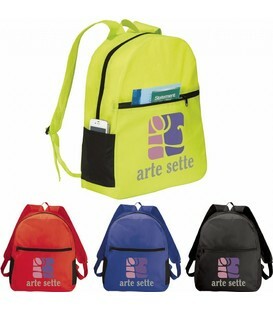 Features zippered front pocket and padded/adjustable shoulder straps. 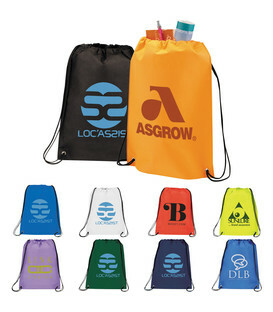 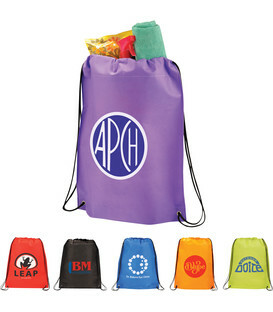 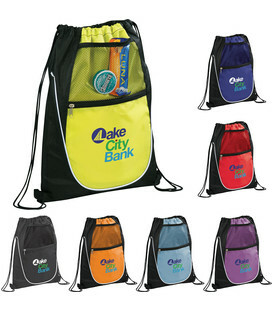 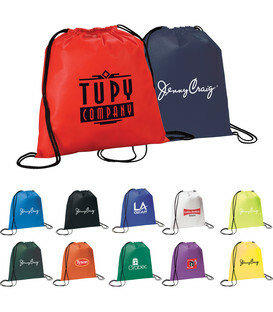 Side mesh water bottle pockets and padded back panel. 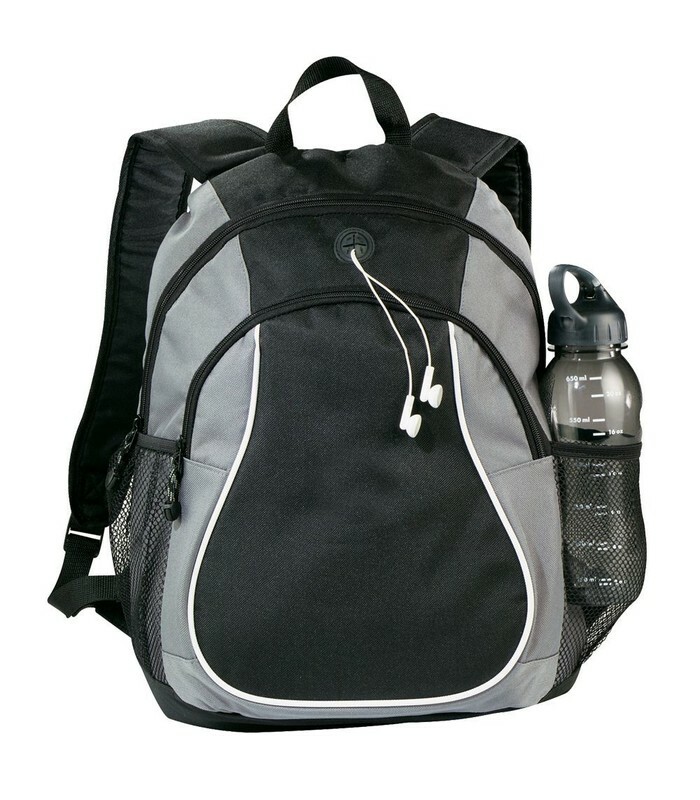 Earphone and sports bottle not included. 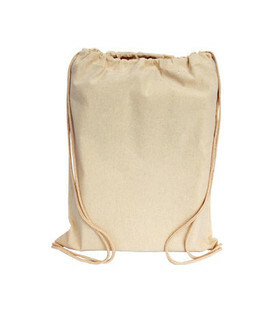 No business card holder featured. 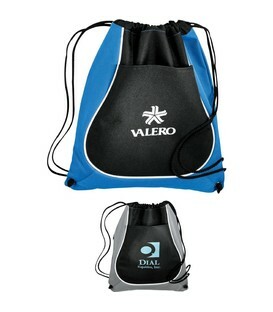 Colours Blue and Black with White Trim.